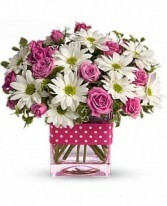 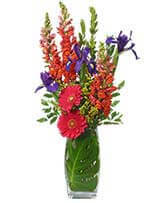 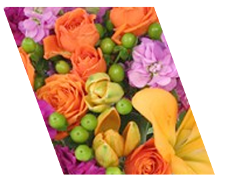 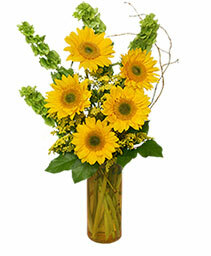 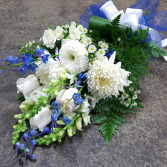 This is a wrapped Presentation Bouquet to hand to your UConn Graduate. 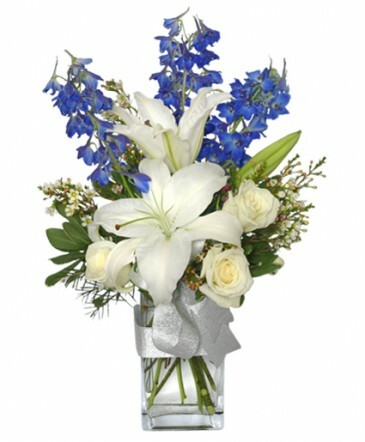 We will use a mix of elegant blue and white flowers and arrange them in a beautiful presentation with a blue satin bow. This is a wrapped Presentation Bouquet to hand to your UConn Graduate. 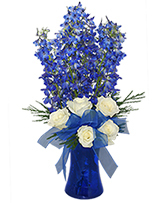 This includes one dozen blue roses arranged with greens and baby's breath in a beautiful presentation with a nice blue bow. Let your UConn Graduate know how proud you are of them! 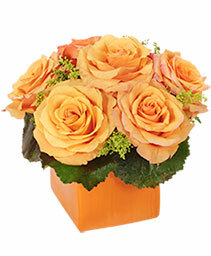 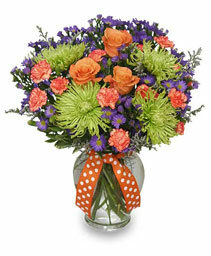 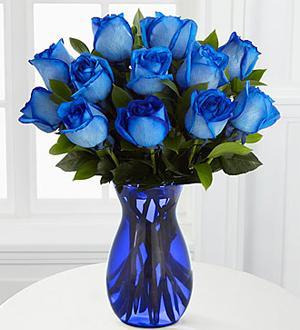 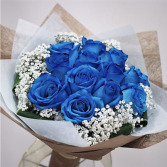 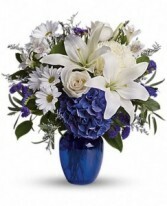 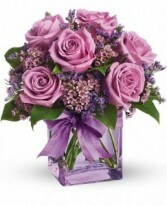 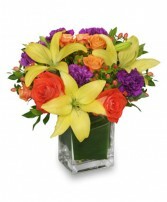 This beautifully blue bouquet includes one dozen blue roses accented with lush greenery. 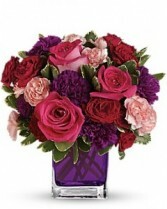 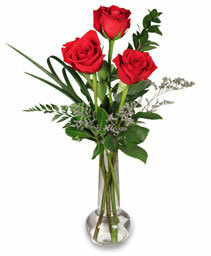 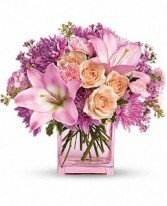 Delivered in a blue glass rose vase.